The faltering U.S. economy of 2009 has led some wine drinkers to consume with an eye toward value, though some economic experts seem to believe the worst is behind us. They say we should soon see a gradual improvement in consumer spending on discretionary items. 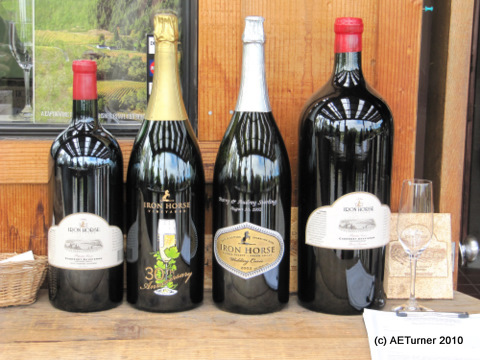 SVB Financial reports that buyers will begin to spend slightly more for a bottle of wine into 2011. If this is the case, the question becomes: how does the small family owned winery with a lower operating budget market their wines to consumers and try to make the most of the improving economy? Certainly, wineries that have innovative sales and marketing approaches are more likely to weather the storm and emerge as survivors. In recent years, the increased use of social media marketing has been a boon to the wine industry and should continue to help increase brand awareness, providing a great return on investment because of its far reach. Additionally, the virtual wine tasting—taking the standard activity to new levels—is now becoming a marketing trend smaller wineries cannot afford to dismiss. One example of an innovative social media marketing strategy is that employed by Iron Horse Vineyards of Sebastopol, California. As a small family owned winery, Iron Horse has embarked upon an aggressive marketing and sales strategy focused around social media. While known for their premier sparkling wines served at White House dinners, Iron Horse regularly uses a variety of social media marketing tools as a means to introduce consumers to their wine portfolio and enhance brand awareness. 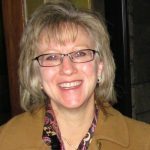 In doing so, their Director of Brand Development, Kim Jacobs, has forged a strategic marketing and sales alliance with Wine Twits. Representing the next generation of wine tasting, Wine Twits blends together the traditional world of wine tasting with social media and technology. The technology in place requires guests at “Sip & Twit“ events to have a Twitter account and mobile device in order to participate. The room is set up like a traditional tasting room, where major label representatives and other brand ambassadors are available to educate and inform. Guests are able to tweet their tasting notes while a live-feed broadcasts their comments to the entire online community. The live feed encourages interaction between and the best part is that participants do not have to be in the room to participate, giving this event an even farther reach. Iron Horse and Jacobs have participated in two Sip & Twit events over the past six months and are starting to notice the effects. “Sip & Twit is a great sales tool. 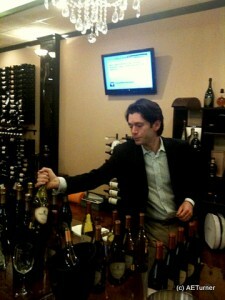 Iron Horse worked with S&T platform at a recent Wine Chateau tasting. It was exciting to see how the flat panel technology integrates the winemaker into the event from 3,000 miles away. Quite a value proposition adding foot traffic and on-line traffic for suppliers, distributors, on and off-premise accounts, and ultimately enhancing the consumer experience,” commented Jacobs. Sip & Twit events have typically brought in 30-40 people per event, with hundreds more seeing the comments through social media. With this positive turn out, both on and off premise accounts were impressed with the results and signed up for a schedule of hosted events. Iron Horse CEO Joy Sterling added “Kim’s strategy using the virtual wine tasting with a network of wine retailers in the New York and New Jersey areas, has been a remarkable way to increase sales for Iron Horse in those markets.” I have attended a couple of these events in New Jersey, and can report that I rediscovered my love for Pinot Noir. 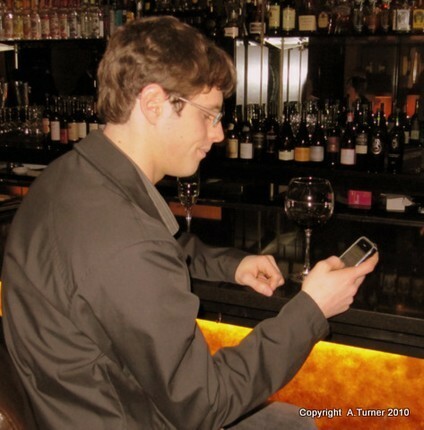 Seeing that the virtual wine tasting is a powerful marketing tool to increase wine sales, Stephen Gilberg, inventor and founder of Wine Twits, plans on expanding the role of the site and will soon launch virtual wine tasting on an even larger scale. Gilberg also believes that retailers using virtual wine tastings are beginning to see an increase in sales. Launched in 2008, Wine Twits was a way to support the wine community and give them what they wanted. It was a medium for wine lovers to engage and communicate from far away. “I see it taking off and am excited to bring it to the next phase. Wine retailers and wineries are seeing the benefits and I’m being asked to come back and do more events,” remarked Gilberg. In addition Joy added that the winemaker, David Munksgard, gives tours and tastings Friday mornings where he shoots videos of guests. Visitors are filmed disgorging sparkling wine or stirring barrels, and the clips are then posts on YouTube to be shared with their friends and family. This acts as an entirely online version of word of mouth advertising. While recently touring Iron Horse’s lovely estate and sipping their wines, I could not help but notice the absolute pride the family members had while speaking about the vineyard. Whether talking about the parents, Barry and Audrey Sterling, or how the White House served Iron Horse sparkling wines at famous events you could feel it. Additionally, their meticulous wine making principles and understanding of The Green Valley show true in the character of their wines. It’s a family affair and Joy Sterling and her team has embarked upon an ambitious journey. 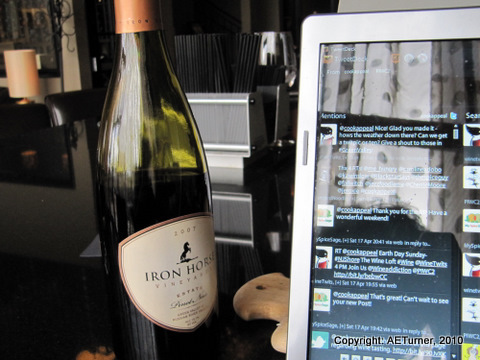 The successful use of social media marketing will only help bring Iron Horse wines to more people. 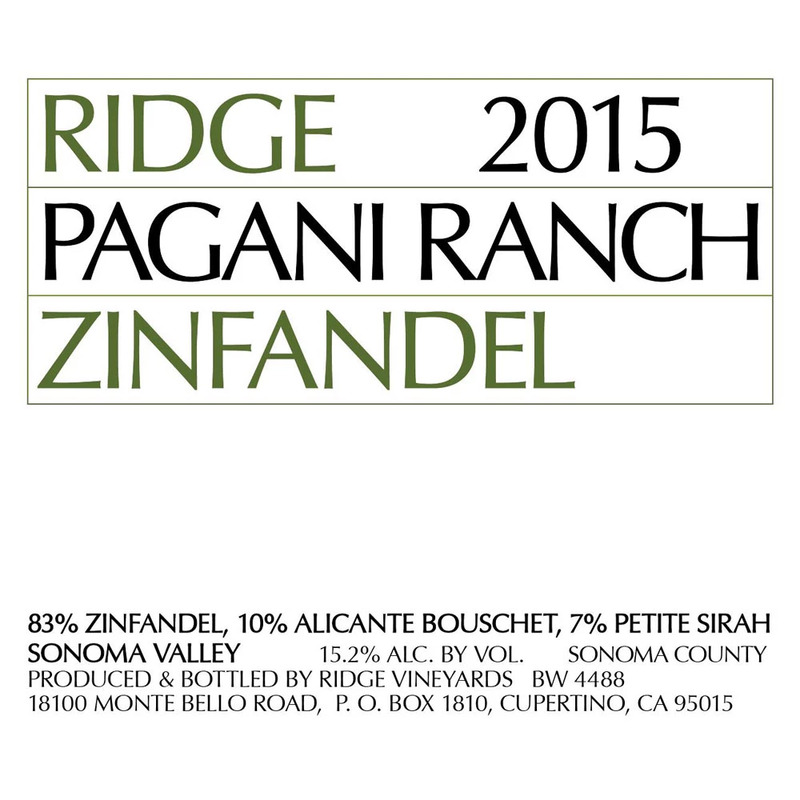 It may be a small winery to some, but it has begun to create a large reach. Social media marketing will help them get there, and sooner, which I believe is a welcome opportunity. A chemist by training and a wine enthusiast at heart. Adrienne currently writes about wine for Examiner trying to make wine more approachable and enjoyable for everyone. She spends most of her time researching and writing about wine trends, while enjoying good wine with family and friends.Adrienne is an active member of the Princeton Chapter of The American Wine Society and is currently studying wine education at the International Wine Center in NYC. Gday, I was looking at the page using my Blackberry and this seems to be somewhat weird. Guessed you’d wish to know. It is a good excellent post nevertheless, could not mess that up.